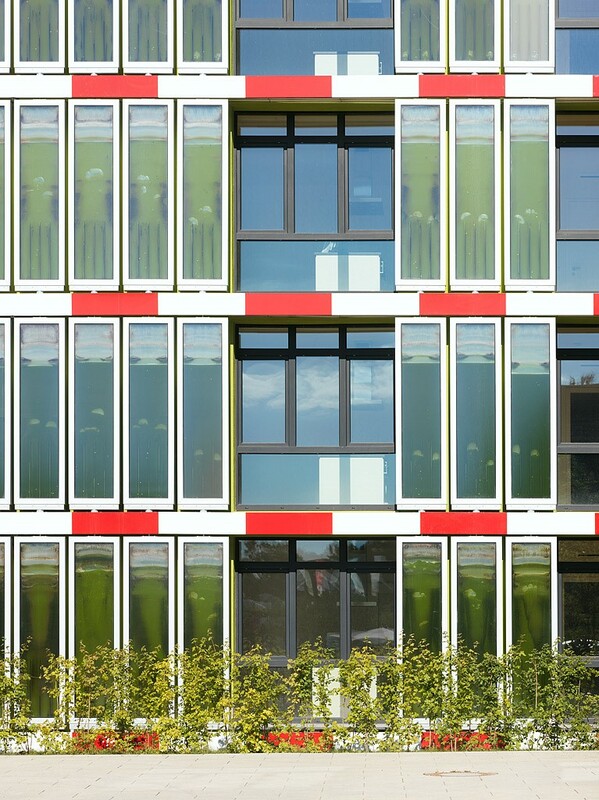 This visionary “Case Study House” featuring the first algae bioreactor façade world-wide was realised in the frame of the International Building Exhibition (IBA) in Hamburg in 2012 and 2013. 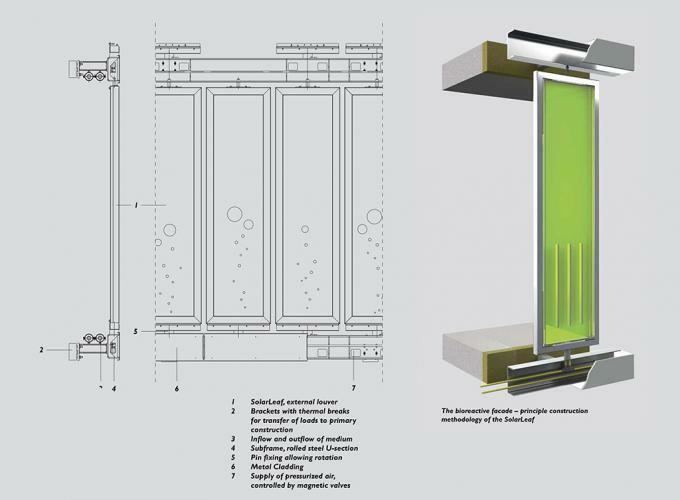 As a “Smart Material House”, it combines intelligent materials and technologies with new typologies of living. 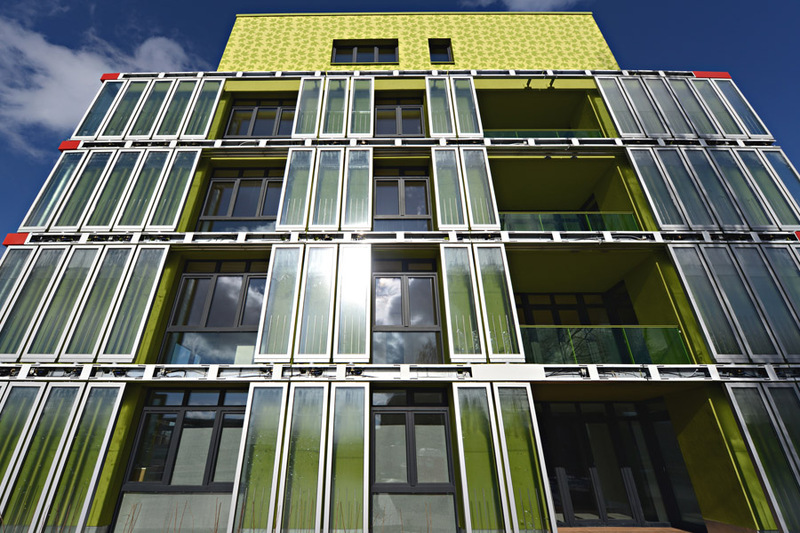 The project is a multi-storey residential building that employs a prototypical method of producing energy and regulating light and sun-shading. 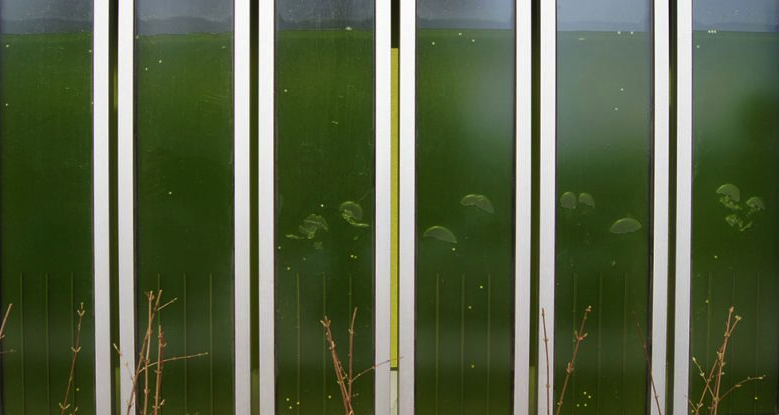 At close range, the façades – oscillating from afar through the constantly growing algae – start to move; bubbles forming through the supply of carbon dioxide and nitrogen, as well as the permanently essential circulation of water containing aerosol-like microalgae, seem to suggest that biomass production could be a solar-powered art installation, steadily bubbling along. 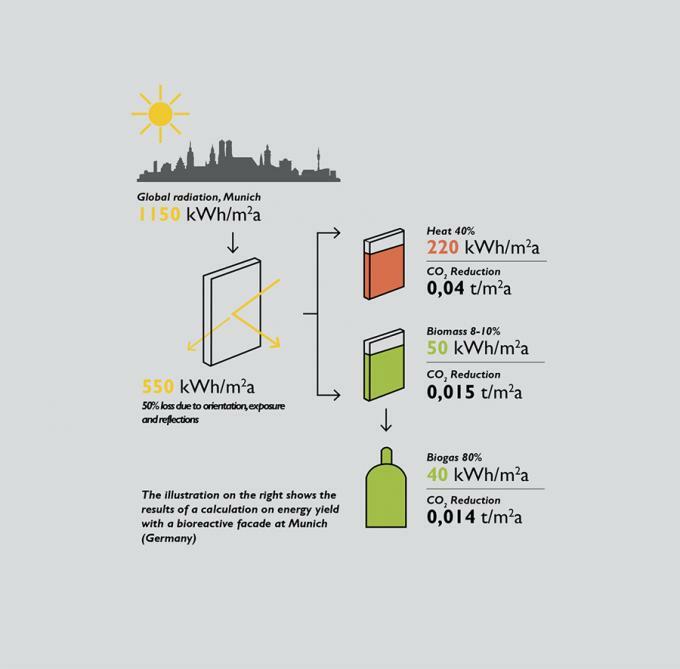 energy, biomass and a fuel cell together form three storable energy sources in the form of heat, electricity and biogas. 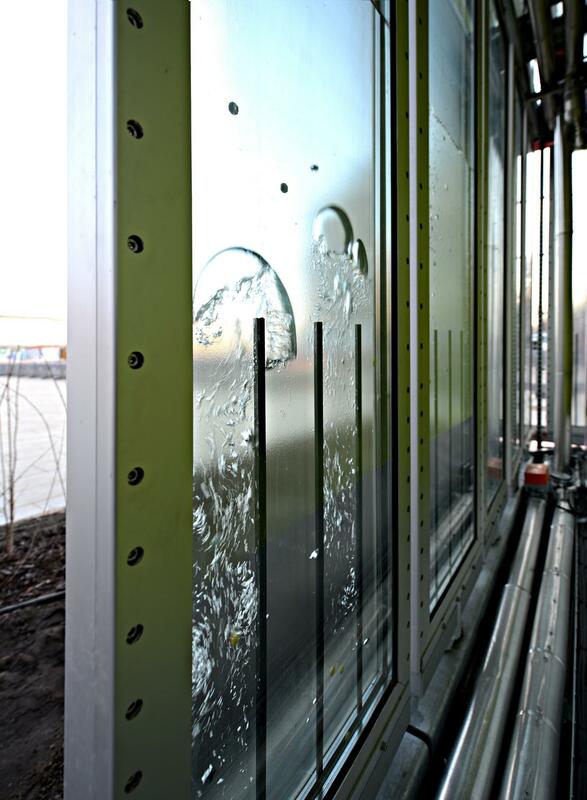 The façade fulfils all functions expected of a conventional building cladding: it not only acts as a thermal and sound insulation, but also as a sun shield. 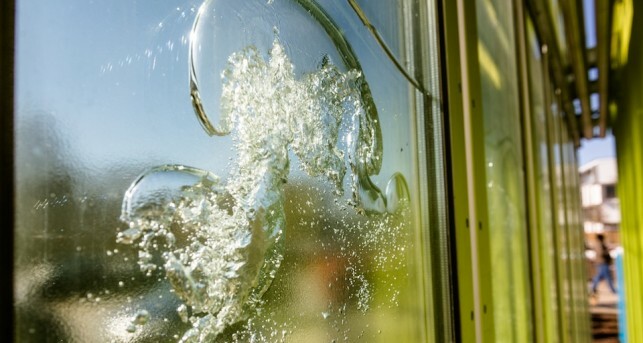 130 translucent, plate-shaped glass containers – so-called photo bioreactors – are composed of two structurally bonded glass panes, the outer structural glass pane having been manufactured as a photovoltaic glass module. 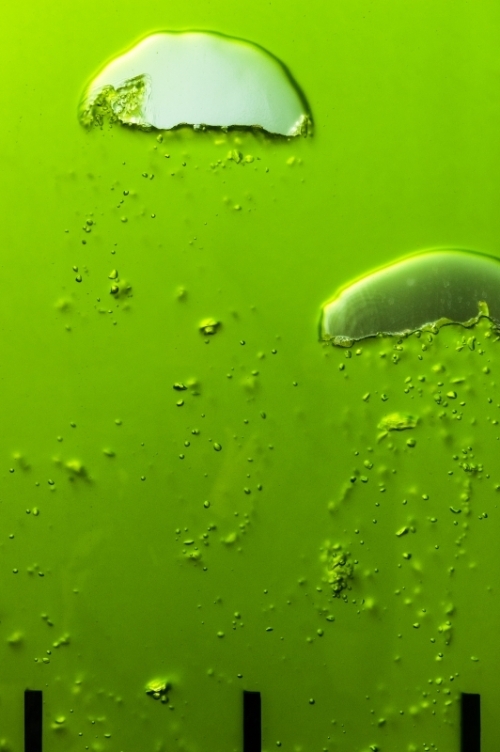 In the container itself, microalgae are cultivated in a watery culture medium that then perform photosynthesis by absorbing natural light, subsequently also producing biomass when supplied with carbon dioxide and the nutrients nitrogen and phosphor. 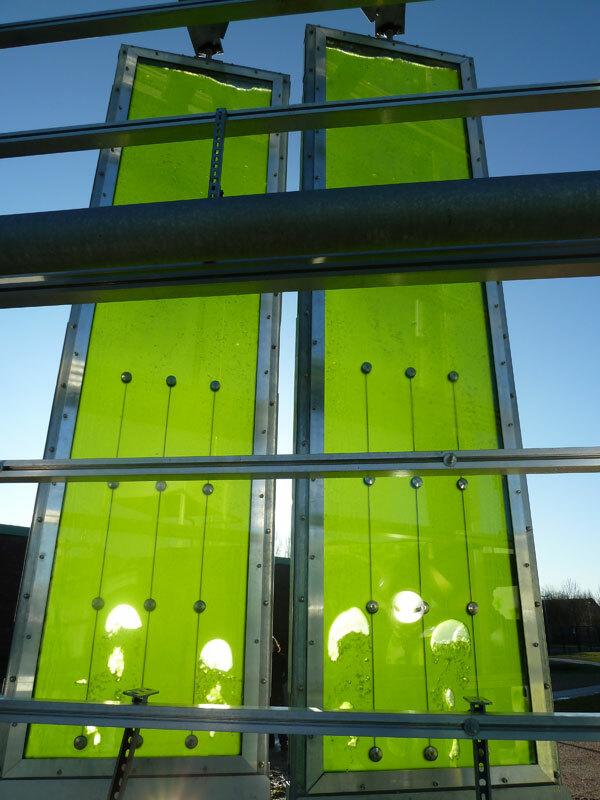 They are able to store carbon dioxide and produce biogas in the in-house fuel cell which generates 4,500 kWh per year. 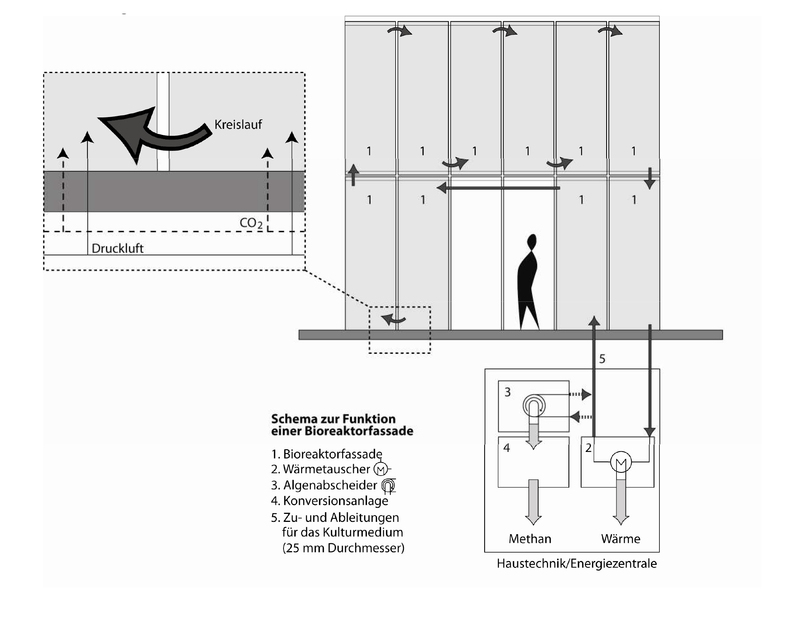 Moreover, the photo bioreactors’ solar thermal function additionally produces around 32 MW heat per year that can either be directly used in the house or fed into the local power network, or alternatively, temporarily stored underground.